Fettuccine is a type of pasta that is very popular in Tuscan and Roman cuisine. It is usually made of egg and flour and has a flat thick shape. For the keto version, we use almond flour, coconut flour, egg and xanthan gum. 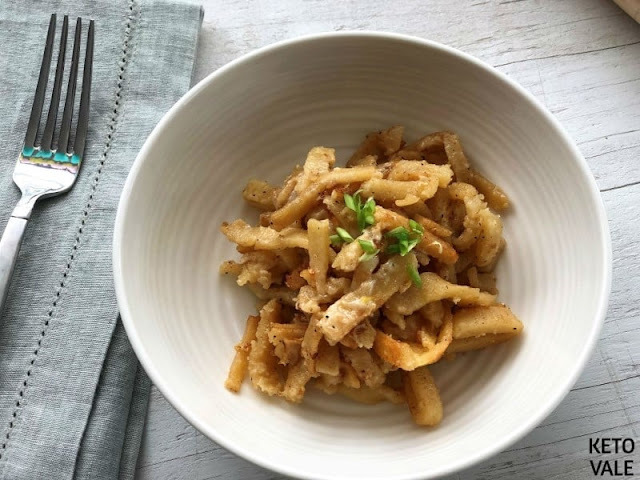 This is a very easy and quick pasta recipe that can be a life changer for those keto followers that miss a good old pasta bowl. It can be made ahead of time and kept in the fridge for a week or two and it will cook in just a couple of minutes. Prepare a large bowl for the ingredients. Mix the coconut flour, almond flour, and xanthan gum in the bowl. Add the apple cider vinegar and egg and mix thoroughly. Put a pinch of salt to taste. Add water teaspoon by teaspoon, as needed. Mix the dough using your hands and roll it to form a ball. Cover it with some plastic wrap and place in the fridge for at least 30 minutes. Take out the dough from the fridge and place on a flat surface. Using a rolling pin, flatten the dough to your preferred thickness. Once ready, cut it to form your favorite pasta shape and shape it freely. If a pasta machine is available, use it for a more precise result. Replace in the fridge for another 15 or so minutes. Afterwards, place on a pan and cook until ready. Top with the fat of your choice. It can also be served with any other keto-friendly sauces such as pesto, tomato, or plain garlic butter as used in this recipe. Transfer to a serving plate and enjoy while warm. 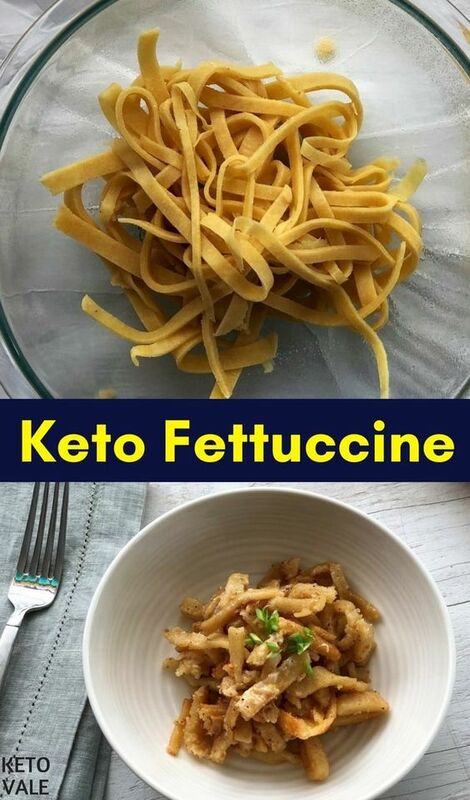 0 Response to "Easy Keto Fettuccine Alfredo"